Discussion in 'Kitchen Appliances, Cookware, Cookbooks & Recipes' started by morning glory, Aug 24, 2018. Do you read your cookery books? I mean actually read them for pleasure - not just use them to look up a recipe or to consult when short of an idea for dinner. Have you ever read a cookery book from cover to cover? I'm not sure I've ever sat and read one all the way through - but I certainly do read them. Some are much better reads than others. Do you have any favourite cookery book reads? I've bought several cookbooks, only to thumb through them once or twice, and put them away. When I want to build a recipe, I almost always go on the web. His recipes are at the same time edgy and also old world Italian. And, he includes a lot of history and storytelling with each recipe. But, as the name suggests, Chef Lopez-Alt is all about explaining the science of cooking - things like truth vs myth regarding cast iron pans - and occasionally dropping in a recipe here and there. I find this sort of book more useful than a straight-up cookbook. Probably the most literate of the well-known cookery writers is Elizabeth David. I've got half-a-dozen of her books and they're often consulted. I've had several of Colin Spencer's books over the years too. He was probably the one who made the most impression on me back in the 1980s. I also have a fondness for other 1970s/1980s vegetarian cookery writers like Gail Duff and Rose Elliott. And as was mentioned in another thread recently - Madhur Jaffrey. A 'go to' writer if there ever was one. The ones that have stories about the chef's pasts and/or explanations about the food and/or techiques, yes. Just collections of recipes? I skim through those, but don't read them per se. buckytom and The Late Night Gourmet like this. Yes, not cover to cover but I do like to flick through cookery books and have a bit of a read. Some of Keith Floyd's are good as they aren't just a list of recipes, he also tells a bit of a story. I've also got Good Food for Busy People by Sarah Woodward and again she often tells a story about the recipe. How she was somewhere in China and ate the inspiration for a Schezuan Chicken recipe, or when in Greece she and her brother found someone cooking whole roast suckling pig with fennel and garlic which became her inspiration for Pork with Fennel. Her description of finding and eating the succulent meat is great. I read cover to cover, even look at printed dates, that how I know my Margaret Fulton curry book is 34 years old, also I like to see weights and measures if provided. They sometimes differ. Also terms used in different parts of India with pulses etc. and at the end I look for something different in the index. I've always been a great reader though. Indeed - the late great Floyd. I've not come across her - I'll look her up. My Nigella books I’ll read as I like her style of writing. 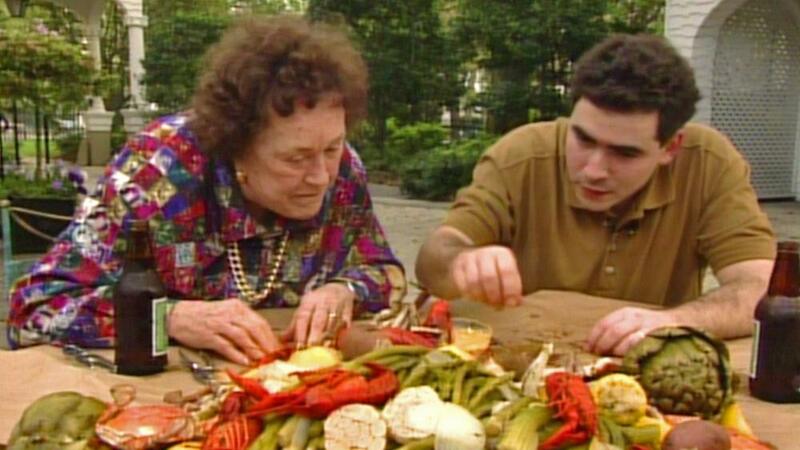 I love watching Julia Child & Emeril Lagasse cook together on TV!!! A very young Emeril!! When I bought a new cookbook, put my feet up, and for the most part, read it from cover to cover. Sadly, these days, I don't have the space. Instead, I find ideas on the web, and save them for inspiration later on. I still have almost a complete set of Time Life books each devoted to a specific category, i.e. vegetables, poultry, beef and so on. There are approximately 25 to 30 books. 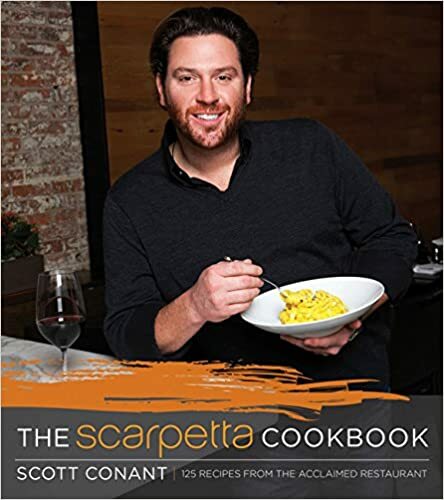 My favorite is the pasta cookbook. Years ago, when you went to the market, you could purchase one book at a time about once a month. The pictures are amazing as well. They still hold up over time. There is a site called eat your books that I looked into once. May explore it again. There is a site called eat your books that I looked into once. May explore it again. Yes - I've looked at that site several times. Its a great idea but unfortunately you have to pay for it which put me off. I wasn't sure I'd ever use it enough to warrant the expense. Has anyone else got experience of Eat Your Books? The one I enjoyed reading most was Dom Delouise's Eat this... It'll make you feel better. Fun and heartwarming stories around the recipes therein that remind me a lot of my own childhood in Brooklyn, and with the Italian American friends with whom I was raised in NJ. I will confess to being a cookbook hoarder. I like to read them. I put sticky notes on the recipes i want to come back to. I have bought cookbooks because thumbing thru i saw one recipe i wanted to try. But i will also admit to being cheap and tend to only buy used books at the thrift or the friends of the library sales. I doubt i have paid more than $4 for any cookbook. I still have my first cookbook i bought in 3rd grade and still swear the snickerdoodle recipe is the best snickerdoodle recipe i have tried. I most recently got a julia childs cookbook for the whoping price of $1, it is thick and will take me a while to parse out...it had an original price of $40. As a vegetarian i can just skip over the meat and fish sections so it does cut down on the reading time. I do like the ones with pictures of each dish...it gives me an idea of what i am aiming for but i do tend to stray from the recipe an awful lot. We have secrets of the red lantern by Pauline Nguyen, stories and Vietnamese recipes, Bill Granger is always a good read. Recipes alone can be a bit flat so I like to get a bit of history etc about how a recipe came about, where it is from, it adds a bit of colour.